Description of the PhotonTrader Position Report, News and Chat features. 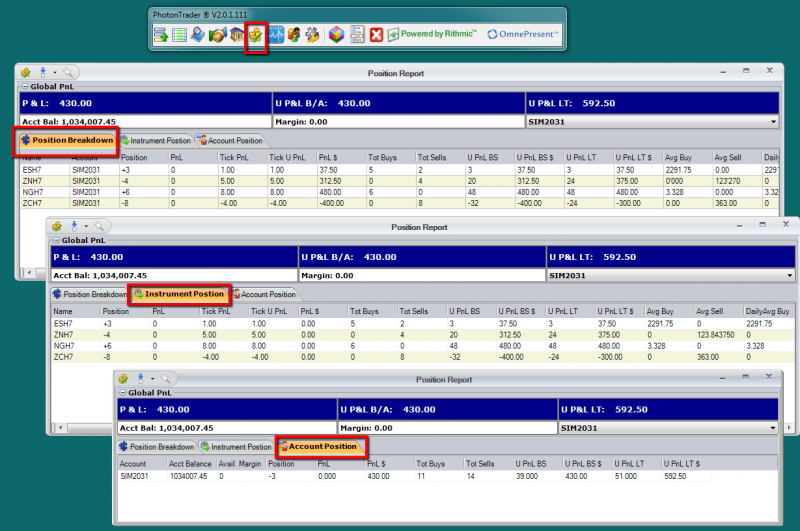 The Position Report is used to view Account P/L and Open Equity based on the Bid/Ask or last trade. 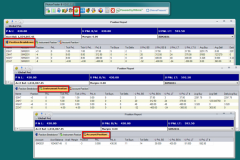 You will also see your Executed orders broken down by Position, Instrument and Account.